Olive Oil: Now With Bonus Virgins! While “extra virgin” is subject to all kinds of interpretation, the process it describes is not. Many mainstream olive oil manufacturers seem to believe that they can interpret the guidelines for what virgin olive oil really is. In fact, there are legitimate standards for what constitutes this. What is Extra virgin olive oil? It is oil that came from olives that were pressed and packaged. Yes, it really is that simple. The alternative method to pressing involves the use of heat or chemicals to extract the oil. These methods usually result in a less satisfactory oil, which given it’s thick consistancy, unless you have the palate of card board box, it isn’t usually good for much more than use as cooking oil. Unfortunately, the quick solution to low sales of a substandard product is to market that product as being much better than it really is. 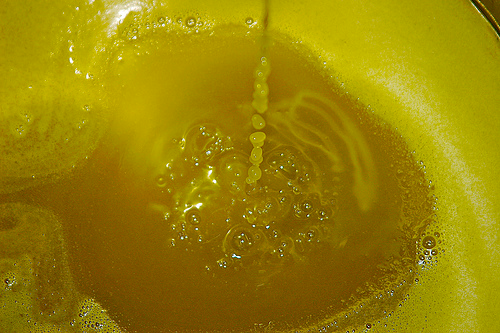 Thus, poor-quality olive oil is often branded as “extra virgin” olive oil. This process can be likened to an evil witch caking on the makeup to hide her visually offensive face, whilst trotting around telling any and all who will listen that she “really is beautiful”. When it comes to food and drink packaging, it’s what on the inside that counts. Don’t be fooled by the makeup… and learn to read the labels. So, how does one find the real extra virgin olive oil? Look for the words “cold pressed”, “PDO”, or “PGI” on the label. In a perfect world, these would indicate that the oil is of a higher quality. However, there aren’t enforced restrictions on the label wording of the packaging. So, ultimately, the truth lies in the taste! 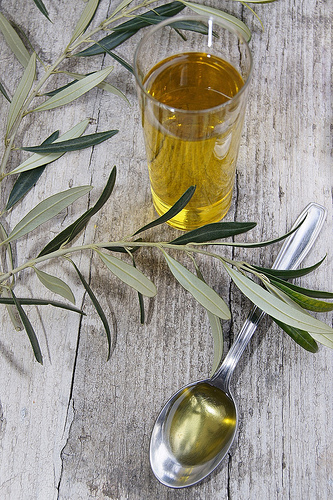 Do you have a favourite Olive Oil product that you’ve enjoyed? Or a memory you’d like to share? We love to hear from you in the comment section below. If you’d like to enjoy a tasting experience with one of our professional and experienced presenters, why not join us at our next event? Ask us how we could customize an event that suits your exclusive tastes and needs. This entry was posted in News & Trivia, Olive Oil, Trivia and tagged extra virgin, fun facts, Olive Oil, trivia on 21 January, 2012 by adminfw. This entry was posted in Food, Olive Oil, Trivia and tagged food, fun facts, health, Olive Oil, trivia on 21 January, 2012 by adminfw.